In the American Southwest, Nevada, Arizona, and California skirmish for dwindling shares of the Colorado River. Into the fray steps Angel Velasquez, detective, leg-breaker, assassin and spy. 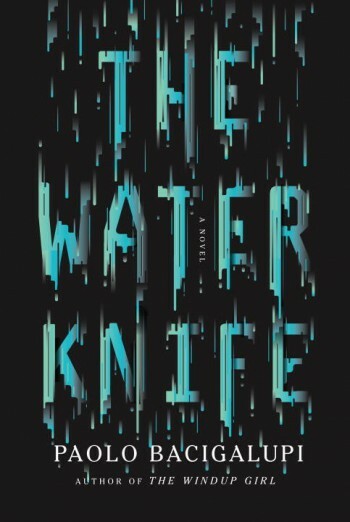 A Las Vegas water knife, Angel “cuts” water for his boss, Catherine Case, ensuring that her lush, luxurious arcology developments can bloom in the desert, so the rich can stay wet, while the poor get nothing but dust. When rumors of a game-changing water source surface in drought-ravaged Phoenix, Angel is sent to investigate. There, he encounters Lucy Monroe, a hardened journalist with no love for Vegas and every reason to hate Angel, and Maria Villarosa, a young Texas refugee who survives by her wits and street smarts in a city that despises everything that she represents. With bodies piling up, bullets flying, and Phoenix teetering on collapse, it seems like California is making a power play to monopolize the life-giving flow of a river. For Angel, Lucy, and Maria time is running out and their only hope for survival rests in each other’s hands. But when water is more valuable than gold, alliances shift like sand, and the only thing for certain is that someone will have to bleed if anyone hopes to drink. Former film student Fortitude Scott is finally gainfully employed. 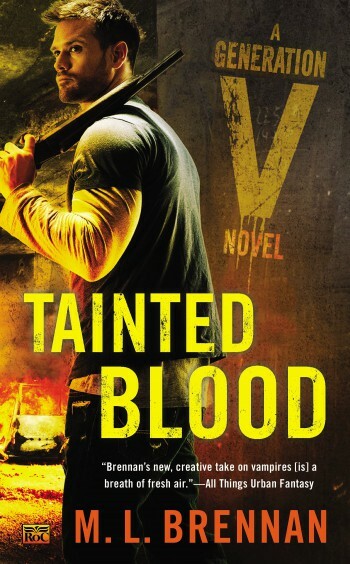 Unfortunately, said employment happens to be with a group of sociopathic vampires — his family. And as much as Fort is loath to get too deep into the family business, when his brother, Chivalry, is temporarily unable to run the territory, it’s up to Fort to keep things under control. I enjoyed the first two novels in the series — Generation V and Iron Night — so I pre-ordered this one. I’ll be reading it very soon. Maybe next week. Also: werebear? From the two-time Booker Prize winner: an exhilarating, exceedingly timely new novel — at once dark, suspenseful, and seriously funny — that journeys to the place where the cyber underworld collides with international power politics. When Gaby Baillieux released the Angel Worm virus into Australia’s prison system, hundreds of asylum seekers walked free. And because the Americans run the prisons — as they do so many parts of her country—the doors of some 5,000 jails in the US also opened. Was this a mistake, or a declaration of cyber war? What, if anything, does it have to do with the largely-forgotten Battle of Brisbane between American and Australian forces in 1942? Or with the CIA-influenced coup in Australia in 1975? Felix Moore — known to himself as “Australia’s last serving left-wing journalist” — is determined to write Gaby’s biography in order to find the answers, to save her, to save his career, and perhaps to save his country. But how to get Gaby to cooperate? 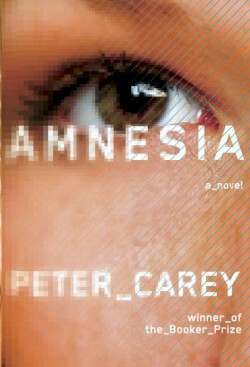 Bringing together the world of hackers and radicals with the “special relationship” between the United States, the CIA, and Australia, Amnesia is Peter Carey at his best, a novel that speaks powerfully about our history but most urgently about our present. This sounded interesting, and I’ve never read anything by Carey before. 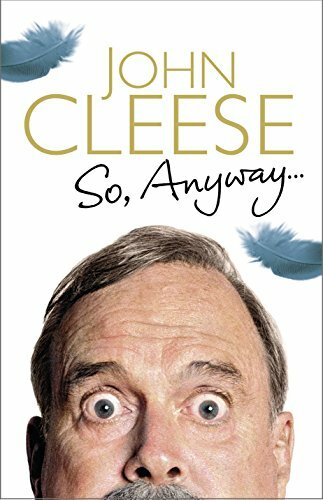 Cleese was just days away from graduating Cambridge and setting off on a law career when he was visited by two BBC executives, who offered him a job writing comedy for radio. That fateful moment — and a near-simultaneous offer to take his university humour revue to London’s famed West End — propelled him down a different path, cutting his teeth writing for stars like David Frost and Peter Sellers, and eventually joining the five other Pythons to pioneer a new kind of comedy that prized invention, silliness, and absurdity. Along the way, he found his first true love with the actress Connie Booth and transformed himself from a reluctant performer to a world-class actor and back again. Twisting and turning through surprising stories and hilarious digressions — with some brief pauses along the way that comprise a fascinating primer on what’s funny and why — this story of a young man’s journey to the pinnacle of comedy is a masterly performance by a master performer. Allen Drury’s Advise and Consent is one of the high points of 20th Century literature, a seminal work of political fiction — as relevant today as when it was first published. A sweeping tale of corruption and ambition cuts across the landscape of Washington, DC, with the breadth and realism that only an astute observer and insider can convey. Allen Drury has penetrated the world’s stormiest political battleground — the smoke-filled committee rooms of the United States Senate — to reveal the bitter conflicts set in motion when the President calls upon the Senate to confirm his controversial choice for Secretary of State. This novel is a true epic showing in fascinating detail the minds and motives of the statesmen, the opportunists, the idealists. From a Senate old-timer’s wily maneuvers, a vicious demagogue’s blistering smear campaign, the ugly personal jealousies that turn a highly qualified candidate into a public spectacle, to the tragic martyrdom of a presidential aspirant who refuses to sacrifice his principles for his career — never has there been a more revealing picture of Washington’s intricate political, diplomatic, and social worlds. Advise and Consent is a timeless story with clear echoes of today’s headlines. I stumbled across this series recently, while looking for a new political thriller series to try out. 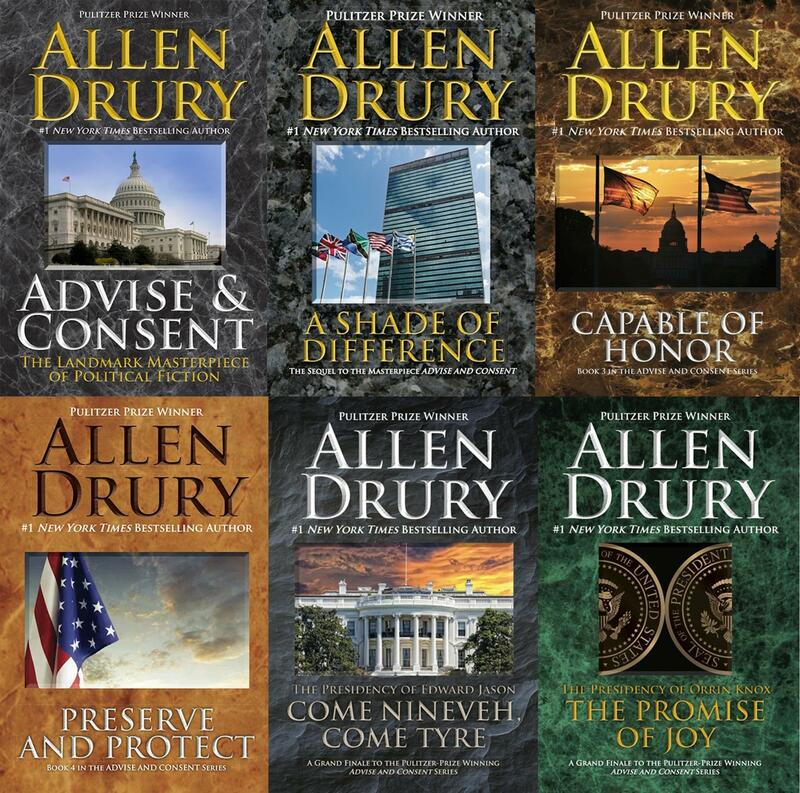 True, it’s not new (the first in the series, Advise & Consent, was published in 1959), but WordFire Press is re-issuing the whole series and many of Drury’s other novels. Kevin J. Anderson, author and WordFire publisher, was kind enough to send me review copies of the series. I’ll be starting them very soon. In the aftermath of the first war in Iraq, Theo Griepenkerl is visiting the looted museum of Mosul when a bomb explodes outside the building. As Theo seeks shelter, he stumbles across the discovery of a lifetime: nine papyrus scrolls that have lain hidden for 2,000 years. Theo believes that he has found the fifth gospel, and its significance is extraordinary. It offers a shocking new account of the last days of Christ, calling into question the conventional narrative of events. As Theo sets out to share his discovery with the world, he can scarcely imagine where his journey will take him, and the trials and dangers that lie ahead. 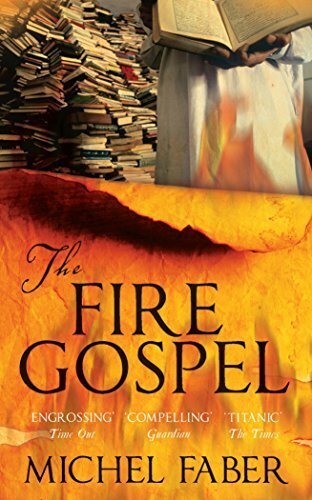 The Fire Gospel is on one level a hugely entertaining tale. At its heart lies a profound and powerful message about the power of words to resonate across centuries. As an indictment of fundamentalism, it is as controversial and provocative as The Last Temptation of Christ. Faber’s latest novel has recently been released with much fanfare (I would like to read it, too), but I was able to get this one quicker. So I did. It sounds really interesting, so I’ll try to read it ASAP. A sinister threat. A city in danger. A boy with the power to command the crows. Batman meets The Graveyard Book in this epic new series. For years, Caw has lived on the streets of Blackstone with only three crows for company. Caw has never known why he can understand the crows. 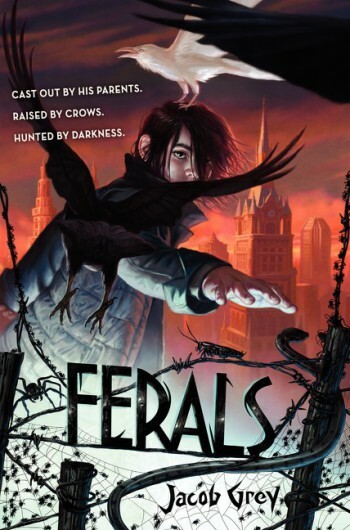 But when he rescues a girl named Lydia from a vicious attack, he discovers others like him — ferals who can speak to certain animals. And some of them are dangerous. Now, the most sinister feral of all — the Spinning Man — is on the move again. To save his city, Caw must quickly master abilities he never knew he had…and prepare to defeat a darkness he never could have imagined. Sounded interesting and a little different. Ignatius Perrish spent the night drunk and doing terrible things. 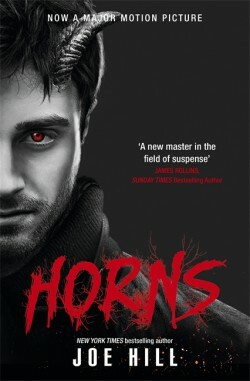 He woke up the next morning with one hell of a hangover, a raging headache… and a pair of horns growing from his temples. Now Ig is possessed with a terrible new power – with just a touch he can see people’s darkest desires – to go with his terrible new look, and he means to use it to find the man who killed Merrin and destroyed his life. Being good and praying for the best got him nowhere. It’s time for a little revenge; it’s time the devil had his due. I’ve already read the first two novels in this series — The Hundred Thousand Kingdoms and The Broken Kingdoms — both of which I enjoyed. 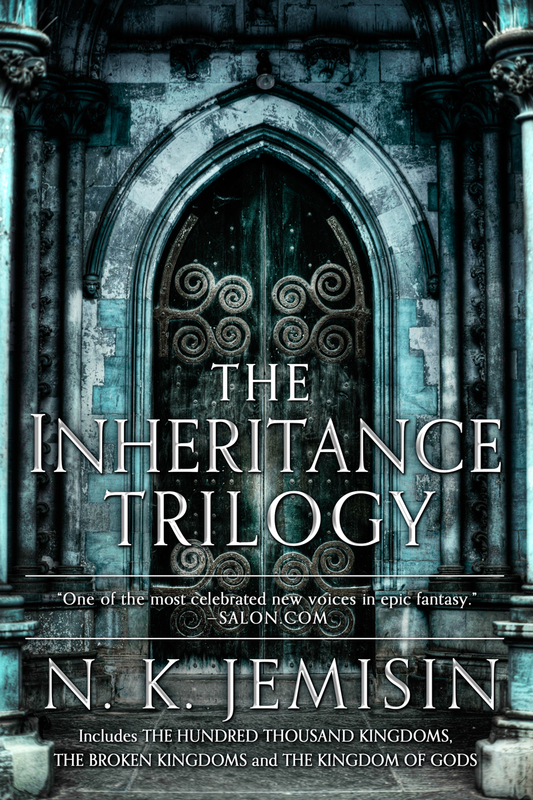 This collection includes the third novel, The Kingdom of Gods, and also an all-new novella, The Awakened Kingdom. I’m looking forward to finishing up the series, finally. If you haven’t tried Jemisin’s novels, yet, there is no better time. These are the last words uttered by 17-year old Max Stein’s best friend Evan just moments before he kills himself after hacking into the live-streaming Presidential debate at their high school. Haunted by the unforgettable image of Evan’s death, Max’s entire world is upended as he suddenly finds himself the target of a corporate-government witch-hunt. Fearing for his life and fighting for his own innocence, Max goes on the run with no one to trust and too many unanswered questions. 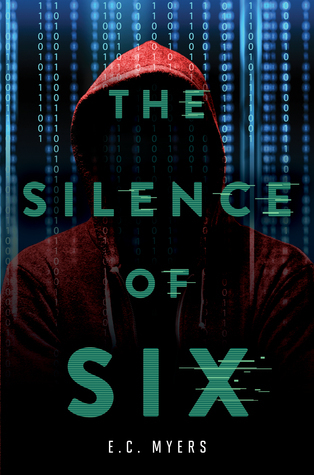 Max must dust off his own hacking skills and maneuver through the dangerous labyrinth of underground hacktivist networks, ever-shifting alliances and virtual identities – all the while hoping to find the truth behind the “Silence of Six” before it’s too late. I enjoyed Myers’s debut novel, Fair Coin, and so I’m looking forward to seeing how this shapes up. It’s the rule — always watch your fives and twenty-fives. When a convoy halts to investigate a possible roadside bomb, stay in the vehicle and scan five meters in every direction. A bomb inside five meters cuts through the armor, killing everyone in the truck. Once clear, get out and sweep twenty-five meters. 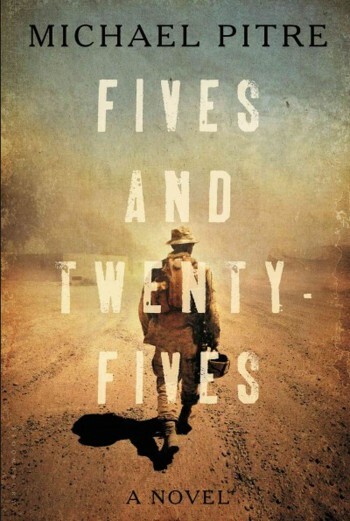 A bomb inside twenty-five meters kills the dismounted scouts investigating the road ahead. Fives and twenty-fives mark the measure of a marine’s life in the road repair platoon. Dispatched to fill potholes on the highways of Iraq, the platoon works to assure safe passage for citizens and military personnel. Their mission lacks the glory of the infantry, but in a war where every pothole contains a hidden bomb, road repair brings its own danger. Lieutenant Donavan leads the platoon, painfully aware of his shortcomings and isolated by his rank. Doc Pleasant, the medic, joined for opportunity, but finds his pride undone as he watches friends die. And there’s Kateb, known to the Americans as Dodge, an Iraqi interpreter whose love of American culture — from hip-hop to the dog-eared copy of Huck Finn he carries — is matched only by his disdain for what Americans are doing to his country. Spotted this in Indigo in Toronto, thought it sounded interesting. Portia Kane is having a meltdown. 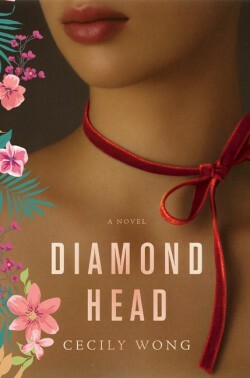 After escaping her ritzy Florida life and her cheating pornographer husband, she finds herself back in South Jersey, a place that remains largely unchanged from the years of her unhappy youth. Lost and alone, looking to find the goodness in the world she believes still exists, Portia sets off to save herself by saving someone else—a beloved high school English teacher who has retired after a horrific scandal. 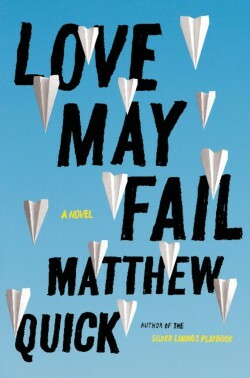 Will a sassy nun, an ex-heroin addict, a metal-head little boy, and her hoarder mother help or hurt her chances on this madcap quest to restore a good man’s reputation and find renewed hope in the human race?Love May Fail is a story of the great highs and lows of existence: the heartache and daring choices it takes to become the person you know (deep down) you are meant to be. The Silver Linings Playbook is a novel that seemingly everyone has read and thinks is brilliant. It was made into a movie with a cinematic pair of darlings — Jennifer Lawrence and Bradley Cooper (although, I hear they don’t get on in real life, despite doing three movies together in quick succession). I saw this and thought it looked interesting. In the twenty-second century, a future in which mortaline wire controls the weather on the settled planets and entire refugee camps drowse in drug-induced slumber, no one — alive or dead, human or alien — is quite what they seem. When terrorists manage to crash Coral, the moon, into its home planet of Ribon, forcing evacuation, it’s up to Dave Crowell and Alan Brindos, contract detectives for the Network Intelligence Organization, to solve a case of interplanetary consequences. Crowell and Brindos’s investigation plunges them neck-deep into a conspiracy much more dangerous than anything they could have imagined. The two detectives soon find themselves separated, chasing opposite leads: Brindos has to hunt down the massive Helkunn alien Terl Plenko, shadow leader of the terrorist Movement of Worlds. Crowell, meanwhile, runs into something far more sinister — an elaborate frame job that puts our heroes on the hook for treason. In this novel from Patrick Swenson, Crowell and Brindos are forced to fight through the intrigue to discover the depths of an interstellar conspiracy. 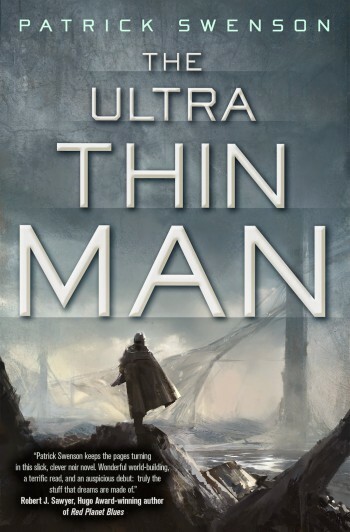 And to answer the all-important question: Who, and what, is the Ultra Thin Man? This has received some good responses from SFF reviewers online, and I thought it sounded interesting enough to pick up. I still don’t read that much science fiction. Not really sure why. I’ll hopefully give this a try pretty soon. 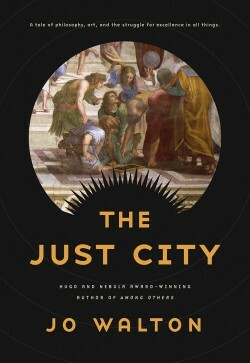 Created as an experiment by the time-traveling goddess Pallas Athene, the Just City is a planned community, populated by over ten thousand children and a few hundred adult teachers from all eras of history, along with some handy robots from the far human future — all set down together on a Mediterranean island in the distant past. The student Simmea, born an Egyptian farmer’s daughter sometime between 500 and 1000 A.D, is a brilliant child, eager for knowledge, ready to strive to be her best self. The teacher Maia was once Ethel, a young Victorian lady of much learning and few prospects, who prayed to Pallas Athene in an unguarded moment during a trip to Rome — and, in an instant, found herself in the Just City with grey-eyed Athene standing unmistakably before her. Meanwhile, Apollo—stunned by the realization that there are things mortals understand better than he does—has arranged to live a human life, and has come to the City as one of the children. He knows his true identity, and conceals it from his peers. For this lifetime, he is prone to all the troubles of being human. Then, a few years in, Sokrates arrives — the same Sokrates recorded by Plato himself — to ask all the troublesome questions you would expect. What happens next is a tale only the brilliant Jo Walton could tell. New Jo Walton, and this sounds really intriguing. I’ve studied Chinese history for over a decade, so this sounded pretty interesting. Published March 2015. 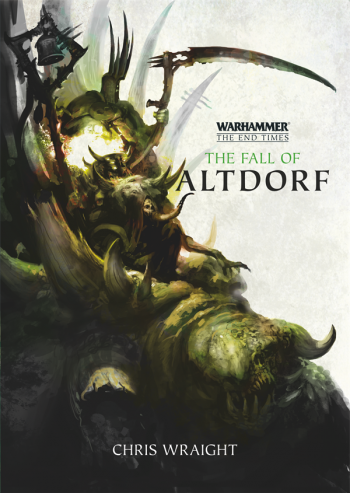 The second novel in the Warhammer End Times series (following The Return of Nagash by Josh Reynolds). It feels like ages since I last read a Warhammer novel, so I’d like to get caught up and stuck in to this big “event”.